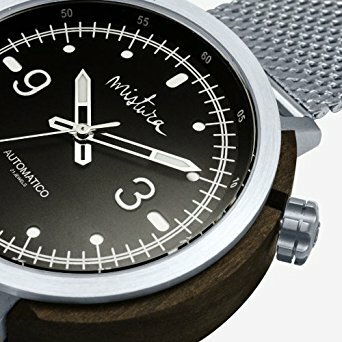 The elements used to create the timepieces include renewable wood obtained through responsible and sustainable management, stone, and textiles. By combining different materials, colors and textures, they achieve new and surprising results every time. This allows them to offer a variety of styles and designs to satisfy the different personal tastes; from geometric simplicity to finer and more elaborate details. Each piece is cut, polished and assembled by hand by expert artisans, and finally protected with natural oils and high quality fittings for a long lifespan. The protection of the environment is a crucial aspect of the brand, which is why they only use sustainably sourced renewable materials and responsible manufacturing processes. • Supporting the planting of 2500 trees to this day. We work to increase the value and extend the life of our planet. • Generating employment for local communities. • Improving water supply and quality of life.